Politics is the magical place where the leader trying to parachute himself into a riding 3,400km away from where he’s from in Ontario for no apparent reason anybody can see accuses *the other side* of playing political games. He’s from Ontario. If he wants a seat in the house so bad, run there. 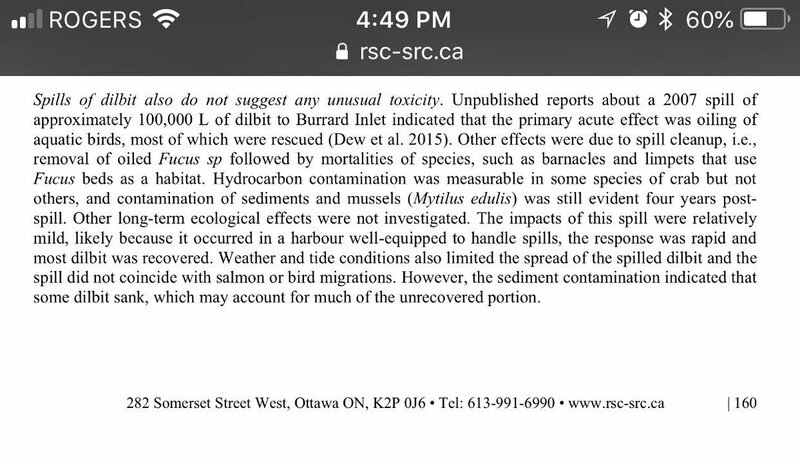 There is precious little in this 274 page court ruling that finds any deficiencies regarding spills of diluted bitumen. Actually, the specific concerns are that the Species at Risk Act was not included in the report that informed the Governor in Council’s decision. The Court simply says Cabinet needed information that it didn’t have while making its decision, so the decision must be remade. The Court makes no finding as to whether the decision is wrong — only that cabinet was not in possession of all the information it needed when it made the call. 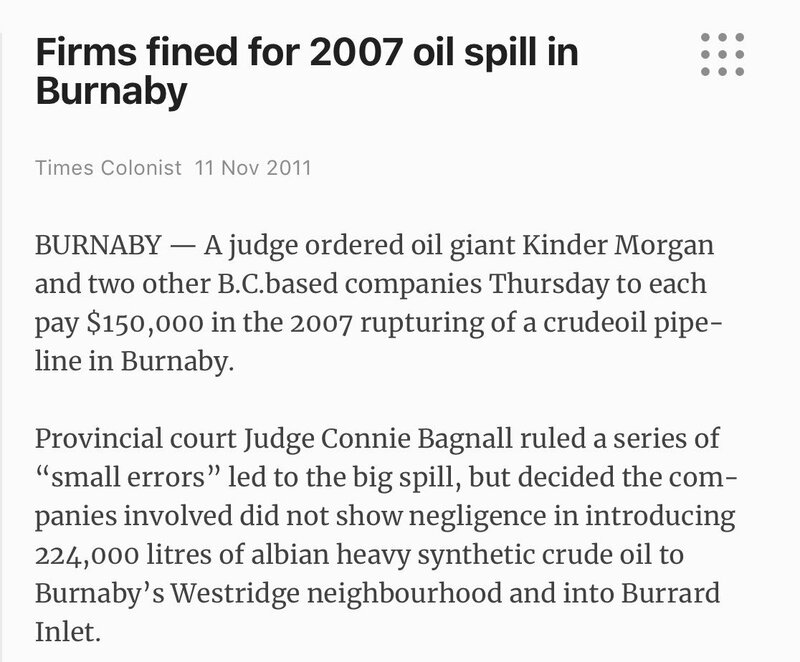 Because this is the misunderstanding that just won’t die, yes the 2007 Kinder Morgan spill WAS bitumen. A dilsynbit specifically called Albian Heavy Synthetic. It is NOT fully upgraded. At API = 19.2, it is among of heaviest dilbits in existence. If anything sinks, it will. I’m just going to pin this and leave it here until further noticr. Use/copy/cite at your leisure. No credit to me needed. I’m more interested in the public being properly informed. I can see why there is confusion. 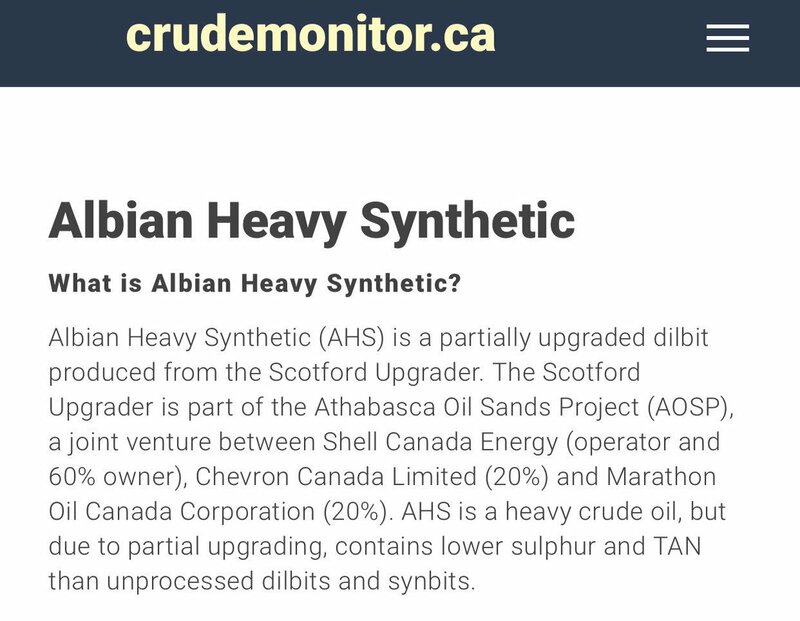 Albian Heavy Synthetic is not a synthetic in the proper term (synthetic usually denotes fully upgraded bitumen). 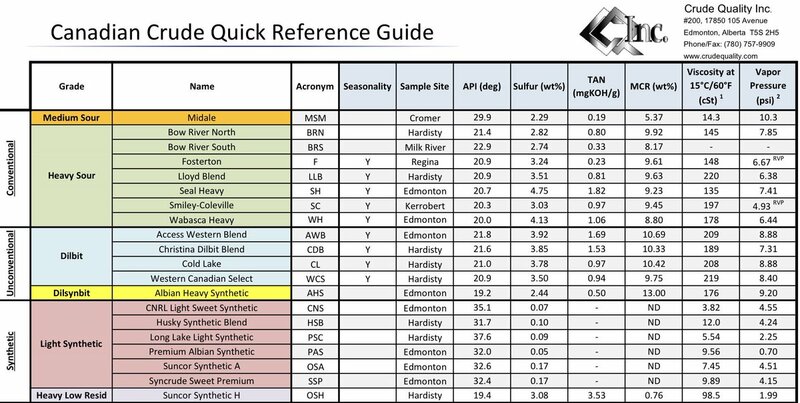 It is a dilbit / syth blend that is *partially* (not fully) upgraded. It’s less acidic and has lower sulfur, but it is heavy as hell. I suppose we can safely say that now #TheFrighteners have been so successfully and publicly put on a certain sector their combined angst will spew a diarrhoea of spin & warp whilst trying to use THAT VERY THING to generate $£Es Some with automated AdTech software already bought. I was raised to respect military heroes and show compassion toward anyone dying from a terminal illness. I was also raised to do the same to women and my elders, but @HillaryClinton never received this consideration. When I was a kid, if you'd told me that Nancy Reagan would run for political office, I'd assume that there'd be some deference shown to her as a former First Lady who was eligible for social security. I read a #TooGoodNotToShare short story . Once upon a time, a cow went out to graze in the jungle. Suddenly, she noticed a tiger racing towards her. She turned & fled,fearing that the tiger would sink his claws into her any moment. She desperately looked for someplace to escape & at last, saw a shallow pond.Barely evading the tiger’s reach,she jumped into the pond & in the heat of the chase,the tiger blindly leaped after her. To the surprise of them both,the pond was extremely shallow yet filled with deep recesses of mud. After toppling over each other, the cow and the tiger found themselves a short distance apart, stuck in the mud up to their necks. So sick of this. Feeling quite despondent about things, so a big rant incoming. I'm not only sick of populism, but sick of those who object to fighting the populism with more vigor. Over the past week or so we've had a Neo-Nazi thug taking video footage at court in order to rile up race hate in a manner reminiscent of the Brownshirts of old. We've had numerous people call for his release in "mainstream" news like Fox and The Spectator. We've also had a member of Parliament and one time leader of the Conservative party demand that people all line up behind his vision or literally leave the country entirely. Once upon a time, there was a prince named Gabriel who lived in a shrinking kingdom. A blight had swept in from the east, withering plants, sickening animals, and fouling the water. It left behind a great waste where nothing would grow and no one could survive. For years, the king held audience with anyone who claimed to be able to halt the spread of the blight and restore life to the waste, but no one—from farmers with knowledge of the land, to sorcerers with arcane magics—could find a solution. Rumor held that a powerful faerie had cursed the kingdom over a slight, real or perceived, and that was why no human magic could reverse the devastation. People were forced from their homes. Some fled west, toward the capital at the foot of the mountains, some to other countries.